Why GO to a ‘Designer House’ anyway? A good designer house can provide real, quality design education, just for the price of admission. 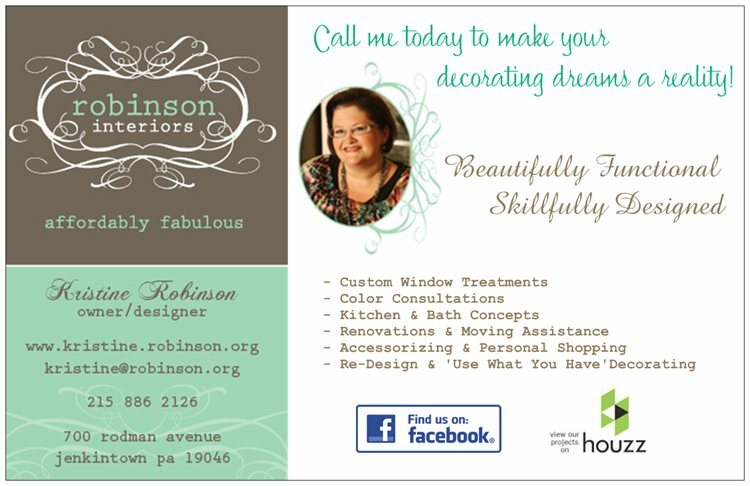 In a previous post we discussed the definition of a Designer House and specifically information about the Bucks County Designer House (BCDH), in which I’ve been a participant several times over the years. This time I thought we’d discuss the benefits of actually attending a designer house. I mean, why spend the money and time on something like a house tour? Obviously, if you’re looking to hire a designer, visiting a local Designer House would be a great way to find someone. However, the draw of a Designer House for the majority of the ticket-buying public is the fun of seeing transformations wrought by talented interior designers (and sometimes getting a peek into a large-ish private mansion). Although in many cases, attendees seem to get thrills from trash-talking about the rooms, hopefully they might also find a smidgeon of joy in the innovative decorating ideas gleaned from various spaces. In the case of BCDH each room features a before photograph. If visitors take the time to locate and peruse these images, they can really appreciate the amount of time, effort, money, and skill that goes into a designer house room. These before photos can really speak to the talent of the design firm, obviously, but they also reveal a glimpse into the actual design process. Interior Design is more than just making things pretty, so much artistry and ingenuity is required to transform a space from an empty shell to a WOW room. Not to mention the dexterity required to implement the whole thing in just a few short months! 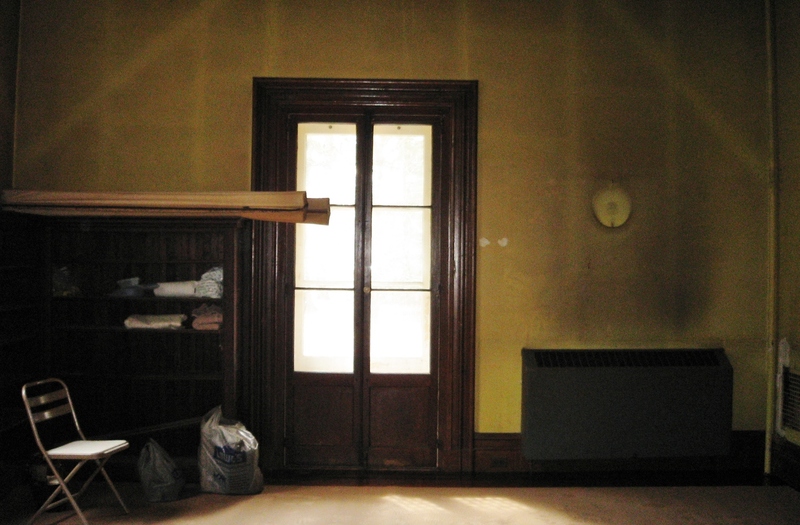 In this 2008 BCDH room, the Victorian house had been un-occupied for several years. It required that I do a lot of expensive improvements (to walls, floors, etc.) before the fun part of decorating could begin. Look at the before photos and ask yourself: What focal points did the designer choose to enhance? Were there existing features in the space that the designer had to work around or hide? Was there a lot of infrastructure work to be done before the decorating could begin: electrical, painting/wallpapering, flooring, etc. Did the designer use innovative techniques or unusual color schemes, priceless antiques, or luxurious custom items in the space? A good designer house can provide real design education, just for the price of admission. The after image of my 2008 BCDH room. Wallpaper, refinished wood floors and casing/woodwork throughout, in addition to good lighting enhance the décor. All the beautiful antiques, furniture, and accessories would be nothing without the work done before-hand. Just before the Designers are allowed into the rooms to begin their work, the BCDH Committee hosts an Empty House Party. This is a really fun event, with an affordable price-tag. It’s such a bargain, since it includes food, a wine and beer tasting, and a silent auction with lovely artwork. It’s also a terrific opportunity to experience the Designer House in its before state. In addition, the Empty House Party provides an opportunity to actually meet the designers selected for each space and view the design boards each has prepared for his/her awarded room. A day or two later and the real work begins, with painting, sanding, stripping, and all the other nitty-gritty activities involved in the renovation of a home. Have you attended a Designer House or Showcase in the past? For what reasons do you like to attend? Please chime in and leave your comments below–I love to hear from you! We’ll talk more about Designer Houses in upcoming posts. I promise to show you the before pictures of my sunroom space very soon! Until then, please tell everyone about Kristine Robinson’s blog. I need all the friends I can get! This entry was posted in Benefit, Bucks County, Charity, Decor, Decorating, Designer House, Farm, Furniture, Home, Home Decor, Interior Design, Pennsylvania, Renovation, Uncategorized and tagged Bucks County, Bucks County Designer House, Decor, Decorate, Decorating, Decorator Showhouse, Decorators, Designer House, designers, Interior, Interior Decor, Sunroom. Bookmark the permalink.